Due to family illness the storefront is temporarily not open except to pick up scheduled orders. Please continue to order by web. I thank you for your patience and continued support for our small business. I am truly sorry for any inconvience. 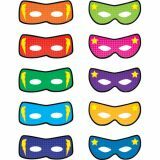 Superhero Masks 30 per pack. 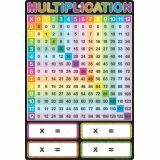 Includes five 37" x 4" clear plastic pockets. 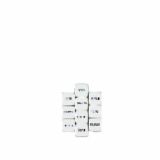 Secures with hook-and-loop tape and folds to 4-3⁄4" x 41". 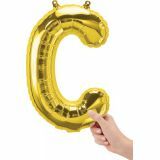 Durable handle for storage or carrying. Contents not included. 41" x 24-1⁄2". 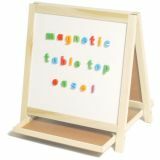 This table top easel features a white dry-erase board on one side, and a chalkboard on the reverse. 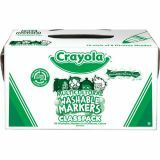 Children can write or draw with chalk, markers, or crayons. Large center tray provides added storage space. Solid hardwood construction with 1⁄4" panels. 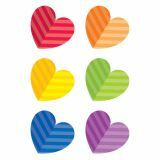 18 1⁄2"H x 18"W.
Designer Cut-Outs, Rainbow Hearts, 6"
Use these Rainbow Hearts Cut outs in your Valentine's Day projects, bulletin board displays, and craft projects. Bring a rainbow of colors to your celebrations of friendship, love and happiness. 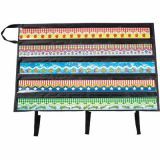 These colorful chevron cut outs are perfect for classroom bulletin boards, hallways, offices and common areas. You'll love these colorful hearts all year round! Mix and match our designer themes with fun accents in your classroom to create a colorful learning environment for your students. For more ideas visit our creative galleries. 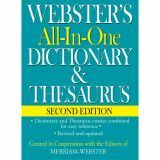 This fully integrated dictionary and thesaurus makes finding the right word easier than ever! 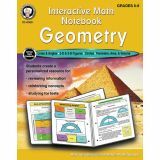 Includes 67,000 clearly written dictionary definitions plus 140,000 synonyms and antonyms. Thesaurus entries appear just below the dictionary entries and are printed in a contrasting color for easy lookups. Hardcover. 784 pages. Can you imagine spending the winter outdoors in Antarctica without anything to eat? 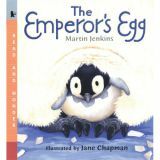 That's just what the male Emperor penguin does. While his mate is off swimming and catching loads of fish, he stands around in the freezing cold with an egg on his feet for two whole months, keeping it warm and waiting for it to hatch. Welcome to the story of the world's most devoted dad! Eight skin-tone colors add realistic hues to multicultural activities. Washable formula. Conical tip. 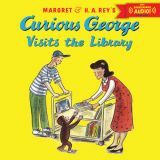 Colors include: beige, golden beige, terra cotta, tan, mahogany, sienna, bronze, fawny. 80 Markers, 10 each of 8 colors. Non-toxic.